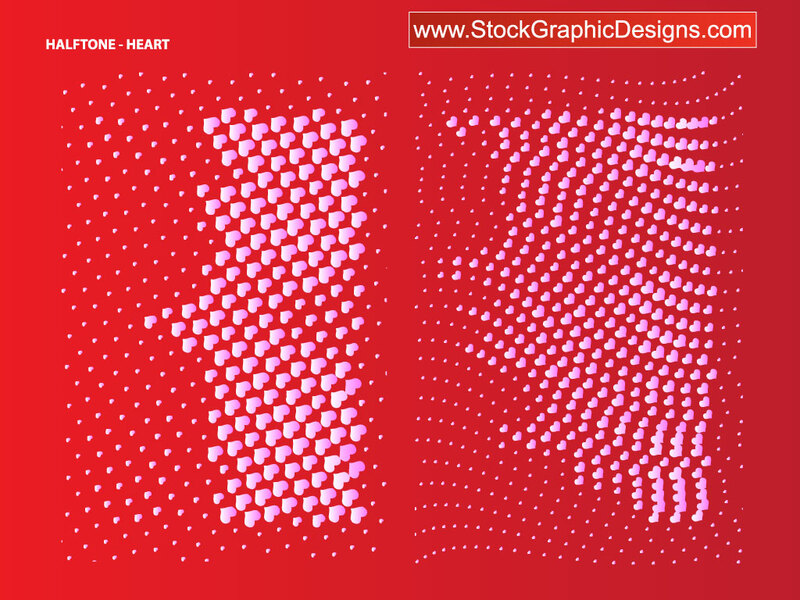 Two cool halftone patterns made up of hearts in this vector pack. Halftones add nice character to your designs. Add halftones to your poster-t-shirt, greeting card and invitation backgrounds for some nice texture. Tags: Dots, Halftone, Hearts, Love, Pattern, Romance, Valentine.